Rise & Shine Interview: Jesse Ruben about Writing | Arianna Merritt, M.Ed. Ever wondered how a singer/songwriter develops the courage to speak from their heart? I'm excited that today, Jesse Ruben, is “Speaking From the Heart” and sharing his experiences with all of us. I had to ask Jesse to be part of this series after reading an article in a local paper about his visit to Vancouver Island to encourage children to persevere. As an educator, I know how much of an impact he made by connecting with these young people in person. Read an article about his visit here or check out his blog post about the visit. I was so touched by his generosity that I had to reach out to Jesse as I wanted to help spread his message further. 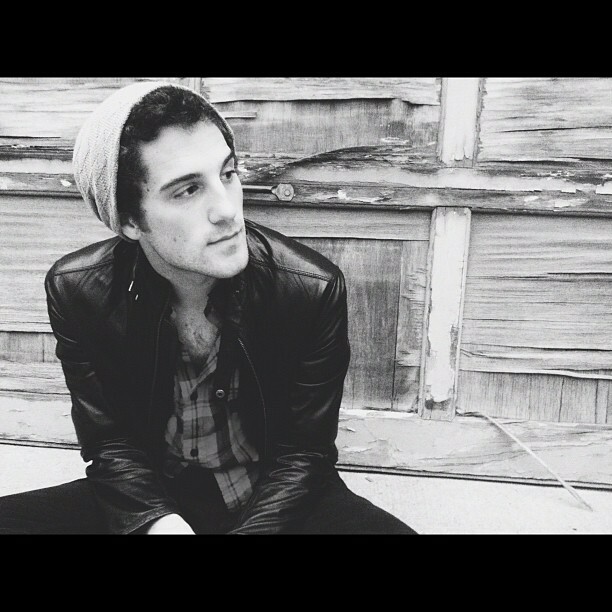 Jesse Ruben is a Philly-bred singer/songwriter currently living in Brooklyn, NY. He has independently sold over 10,000 albums, had song placements on TV shows such as One Tree Hill, Degrassi, and Teen Mom, and toured with some amazing artists, including Jewel, KT Tunstall, Rick Springfield, and Hanson. His song “We Can” is in regular rotation on the XM/Sirius Coffeehouse channel, which called him “the next generation of singer/songwriter." Ruben has sold out venues across the US with deeply personal performances that combine well-crafted pop songs with the stories they came from. Most recently, he achieved one of his greatest life goals when he hit the 5,000 facebook friend limit, because it makes him feel cooler than he actually is. Beyond musical endeavors, Ruben is highly involved with the Christopher and Dana Reeve Foundation, the largest non-profit focusing on spinal chord injury and paralysis. He is a co-chair of their Champions Committee and has represented them three times in the NYC Marathon. Read his interview below. I talk about this with other writers all the time. Whenever you create something, no matter what it is, whether it's a book or a song or a sculpture or a painting or a recipe, you are creating something unique. Yes, you may have been influenced by certain things, or borrowed ideas, but no one has ever written that exact thing, had those exact thoughts. You are literally pushing the boundaries of what we as a race have accomplished. I know that's a bit heavy, but I think it's a pretty cool aspect of being a creative person, and I take it seriously. When I am gone, my songs are what will be left behind. It is important to me to share myself as best I can. I think it's all connected. My writing, my life, my relationships, my job, everything. I am the same person in all of those areas. Some people find my songs to be helpful when they are going through something difficult; it's the same in my life. I like being someone people go to when they need help. Why else are we here, if not to make other people's lives better? I always ask myself, "Am I moved by what I've just created?" That's how you know you've done your job well. You feel something. You are touched. I try to never sell myself short when I create something. And I avoid cliches at all costs. Life is too short. Write better. I didn't have a choice. I had all these songs I'd written; I HAD to show them to people. And when I first started writing, my songs were undeveloped. I had no idea what I was doing. But there was something about being up there and sharing with people. It was a NEED. It still is. When I haven't played a show in awhile, I start to get antsy. I used to freak out. I've been doing it long enough now that I know how the process works. Sometimes the muse is there, sometimes it isn't. It's important to stick with an idea you like as long as you can. Basically, if you're writing like crazy and then hit a wall, don't quit on it. Take a deep breath. Take a shower, or a walk. Eat. Do something to get your mind off the task. I work on songs until I don't like my ideas anymore, and then I give them a rest until it's time to finish them. I never know when that will be. That's part of the fun of creating something new. It's like a discovery in your own head. I just surround myself with people whose work inspires me. I used to finish songs and immediately send them to 50 people and ask their opinion. And I would get back 50 reasons why the song could be better. I don't do that anymore. I write to the best of my ability, and then I leave them be. Otherwise I would go crazy. But it's important to interact with other writers who you respect, so that you can constantly find new ways to push yourself. If there is anything else you could picture yourself doing, don't be a writer. Unless you know it in the core of your being that this is what you want to do, I respectfully implore you to turn around and do something else. The life of a writer is lonely and difficult, and occasionally more rewarding than you can possibly imagine. If you are one of those people who believes this is what you should be doing, then pull up a chair. Open up a notebook, and write. As much as you can. All the time. I prefer a pen and paper to typing on a computer; I enjoy the physical aspect of creating the words on a page. Let yourself be immersed in it. Do not worry at first whether or not it is "good". Simply write for the joy of creating something new. And when people tell you that you are crazy, that is how you know you are doing something right. Always try and push yourself. Always try and come up with something different. Never cross anything out. Be brave. And lastly, be kind to yourself. Do the work when necessary, but do not force anything. Most people's brains do not work the way yours does. It is a privilege. You get to document the rest of the human race. Enjoy. One question that came to my mind after reflecting on what Jesse said was “How do you practice being kind to yourself?" Many people struggle with this, so I’m reaching out to you all and asking for your input. Looking forward to hearing your suggestions! Aug 25 Happy Anniversary Arianna's Random Thoughts!